Readers of my blog may have noticed that I am a big fan of the food at Ormeggio (for further details see here, here and here). 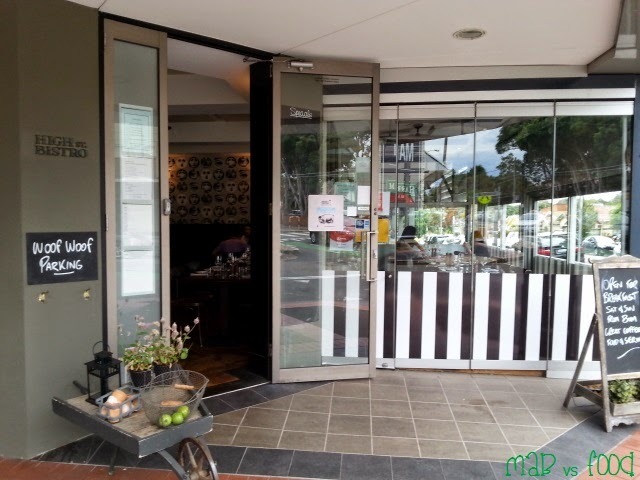 So it goes without saying that I was excited to hear the news that Alessandro Pavoni, executive chef at Ormeggio, Alex Keene, sous chef at Ormeggio and Bill Drakopoulos of Aqua Dining Group had just bought local favourite High St Bistro in Willoughby. 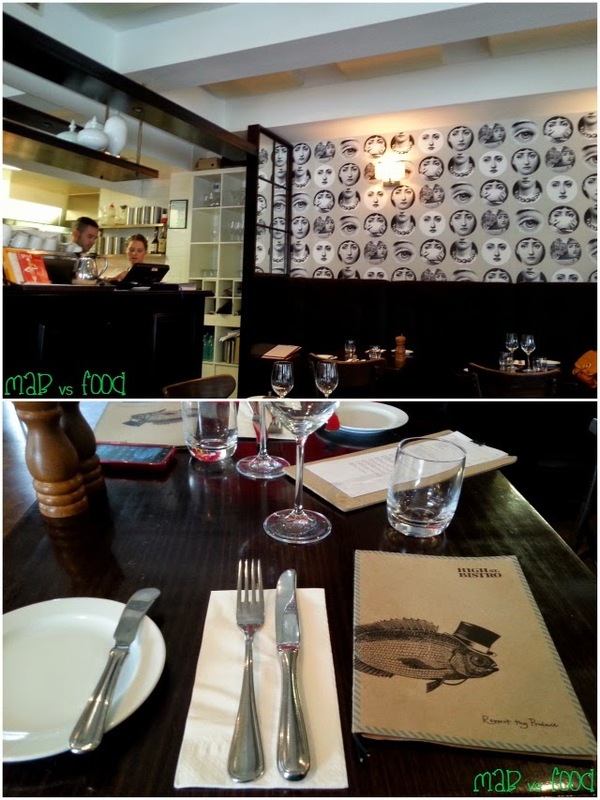 And since I was in the neighbourhood this weekend, my wife and I decided to pay High St Bistro a visit for lunch. Plus we got 25% off the meal since they're in the Entertainment Book Sydney and Sydney North 2014/15 edition. The Ormeggio crew have now moved into High Street Bistro and Alex Keene is running the kitchen as head chef. The existing French influenced bistro style menu has been retained til around late June, when the restaurant will be relaunched as a Northern Italian casual eatery, Via Alta. But it seems that the transition to Via Alta has already started with a number of Italian favourites such as mushroom risotto, tiramisu, among others, already featuring on the menu. We arrived at around midday so High St Bistro was relatively quiet. The service was friendly and attentive at the start but the restaurant became more busy and less attentive as the dining room filled up. We opted for a main each, a side of sauteed potatoes and two desserts to share today. The main came out quickly but there was a bit of a wait for the dessert to arrive. And the side of potatoes never came. We were about halfway through our main when we enquired about the potatoes and since this order had been forgotten about, we decided to cancel the order. I could not help but think that more than three waitstaff was needed for a busy weekend lunchtime service. Any way, onto more important things, the food. And here's what I thought of the food. To start the meal, we ordered sourdough bread baked in the Ormeggio kitchen. Ormeggio serves one of the best breads in a Sydney restaurant, in my opinion, so I think it is worth paying the money for. The bread is sliced extra- thick, which makes the best part of bread, the crust, taste even better! 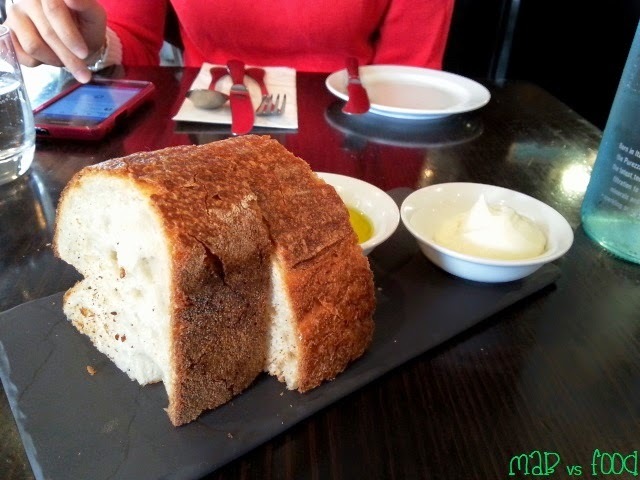 The bread is served with a smooth, creamy homemade ricotta and a top-notch extra virgin olive oil for dipping. My wife's main was Carnaroli risotto with wild mushrooms. We both love mushrooms and we both love a good risotto, so this dish was obviously a winner. 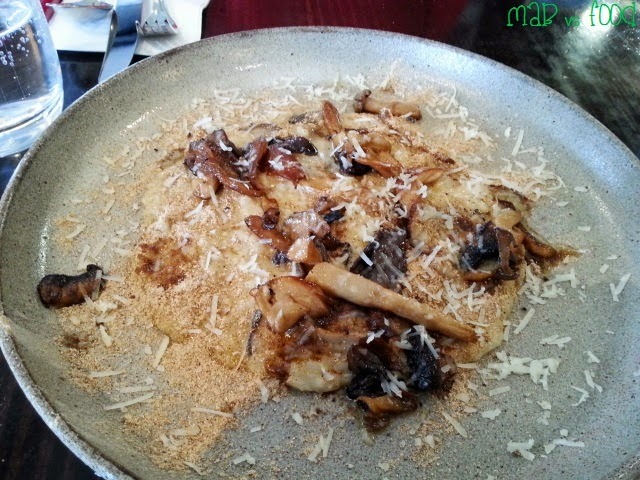 The wild mushrooms were packed with flavour and this dish was noticeably earthy. The risotto was just cooked through and delightfully al dente. This was a rich, creamy risotto and comforting to eat. This was probably not the most generous of portions, but given the richness of this dish, you probably don't want to be eating a mountain of it. My main was the slow cooked lamb rump.This was a simple plate of food with a few elements, but it was sure tasty. 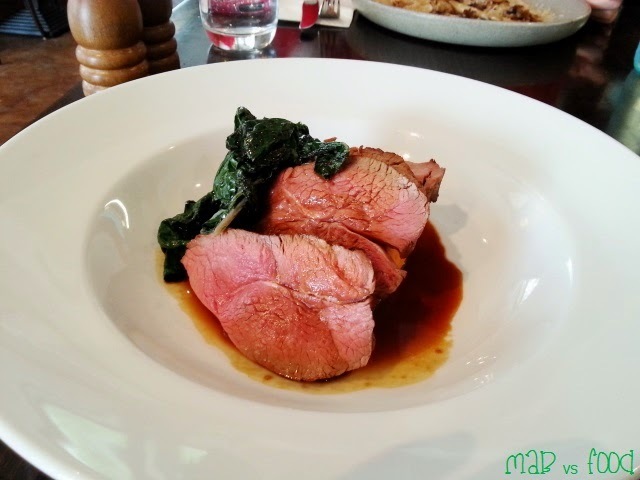 The lamb rump was well cooked and had a lovely pink centre.The lamb jus was deliciously concentrated lamby goodness. The lamb was served with wilted silverbeet and a moreish sweet potato mash. Barbajada is a popular Milanese sweet frothy drink made up of chocolate, milk and coffee. High St Bistro's 'Barbajada' is a contemporary take of this drink, a sort of deconstructed dessert version of it. Out of all the dishes that we tried today, this one would have to be the one I enjoyed the most.The flavours of chocolate and coffee in the mousse were amazing and well balanced. The mousse was so smooth, rich and decadent. I did wish the caramel gelato had a bit more caramel flavour, but a scoop of smooth, creamy gelato is just what was needed to go with the mousse. Unfortunately the other dessert we ordered, the vanilla pannacotta, surprisingly contained a number of flaws. The gelatin separated from the cream, creating separate layers. 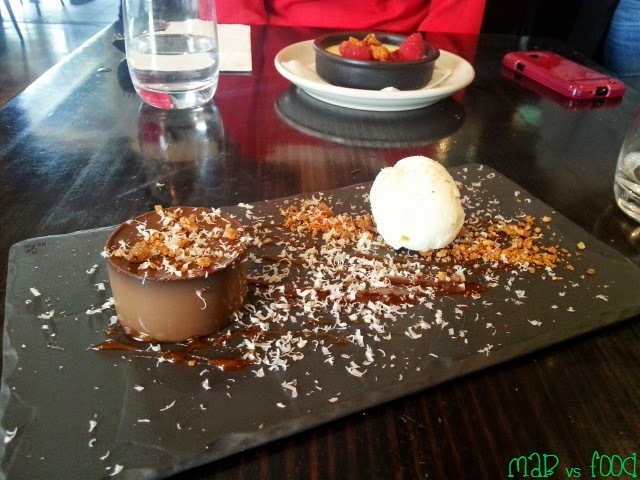 Although the flavour of the vanilla pannacotta was nice, the cream layer was quite rich, dense and grainy. 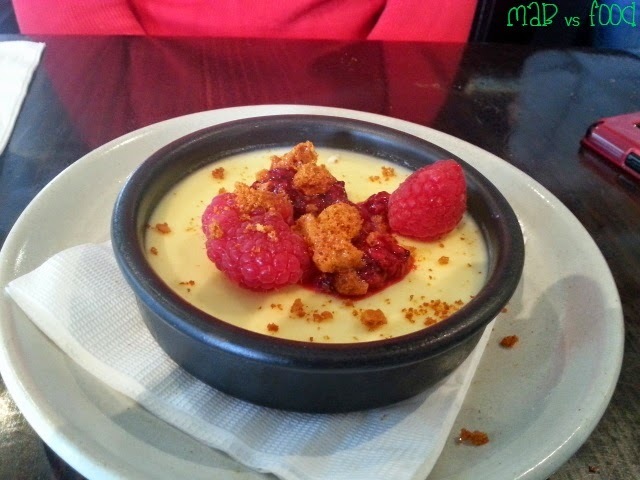 The pannacotta came with fresh raspberries, a raspberry coulis and a very good homemade honeycomb, which was the highlight of this dessert but I wished there was a bit more of it. 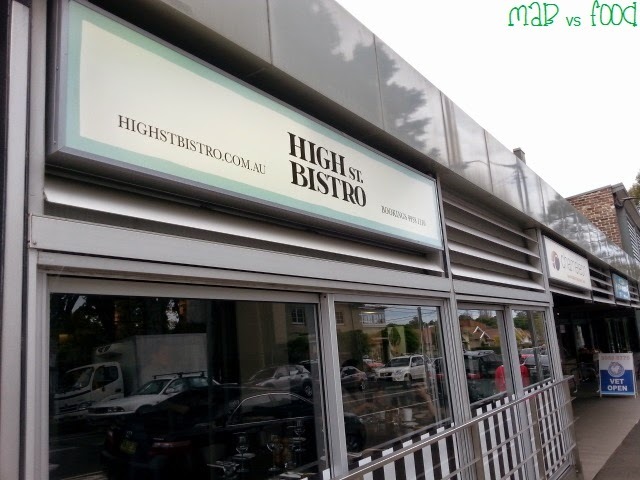 Overall, we had a mostly enjoyable meal at High St Bistro. The food was simple, tasty and used fresh, quality ingredients. The service was friendly to start but slowed considerably as the restaurant got busier. I think High St Bistro is certainly worth a visit before it is relaunched as Via Alta, especially if you have the 2014/15 Entertainment Book (since I'm not sure if the Gold Card will be accepted once the restaurant is renamed Via Alta). This meal did give me a taste of what's to come with Via Alta. We both loved the 'Barbajada', and if Via Alta menu is going to feature dishes like this, there's a lot to be excited about. I can't wait for the launch of Via Alta and I will do my best to be first in line when it opens!